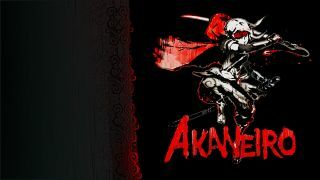 Veteran PC developer American McGee (of Alice and id Software fame) has unveiled Akaneiro: Demon Hunters. It's an isometric ARPG about Little Red Riding Hood fighting demons in feudal Japan. If none of that sounds interesting at all, you might just be a lost cause. "Akaneiro is the latest 'twisted tale' from the team that brought you Alice: Madness Returns," goes the pitch on studio Spicy Horse's official site . "Set in turn of the century Japan, the game finds a battle-hardened 'Red' fighting demons, wolves and mythical monsters. Set to be released in 2012 on mobile and online platforms." The announcement came with the first gameplay trailer showing off the Akaneiro's stylized art, which you can check out for yourself above.